Wednesday evening, the final 3 transition pieces for the Dudgeon offshore wind farm have left our yard in Hoboken. 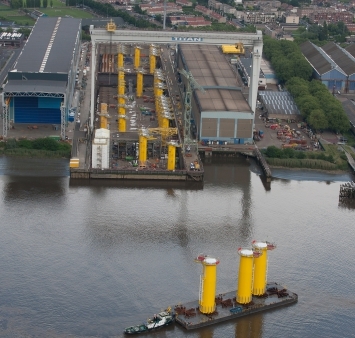 Smulders was, together with SIF, responsible for the production of the 67 transition pieces for the wind farm. These TP’s were the heaviest and largest ones produced by Smulders so far.